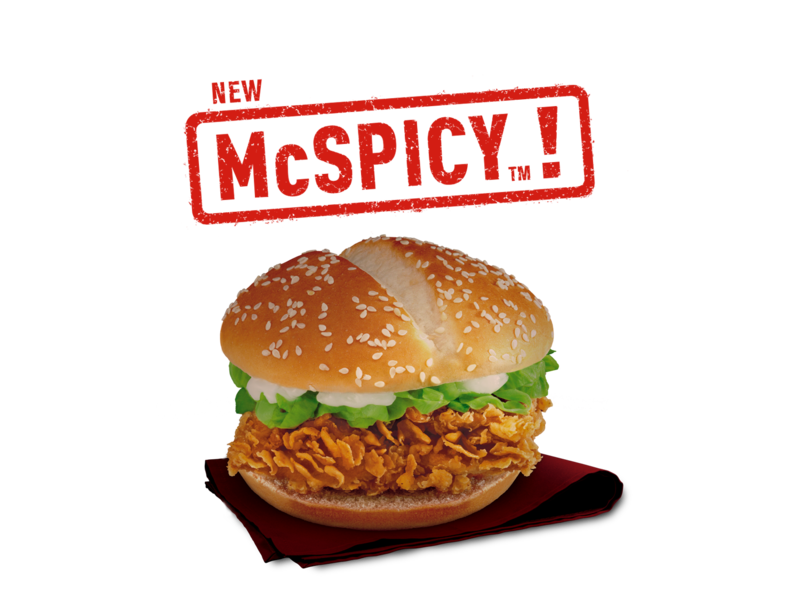 TOPAZ HORIZON: Spice up your day today with the hot hot hot McSpicy! 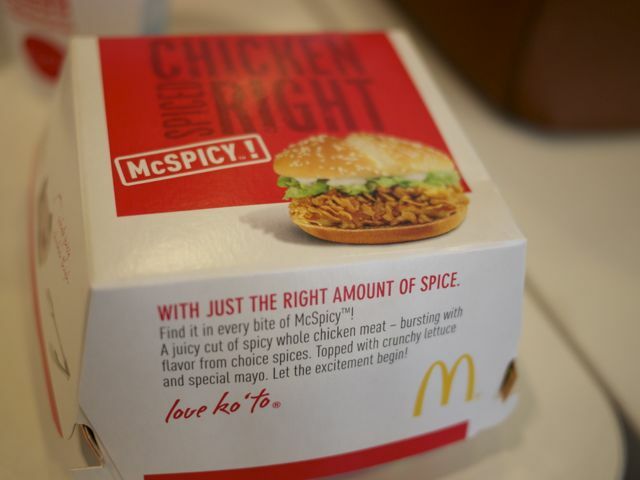 Spice up your day today with the hot hot hot McSpicy! I'm spicing things up today with huge bites of this awesome sandwich! Okay, full confession: I've actually had the McSpicy. Yes, that's the great thing about being a blogger: You get to experience things before the public does! I love blogging! 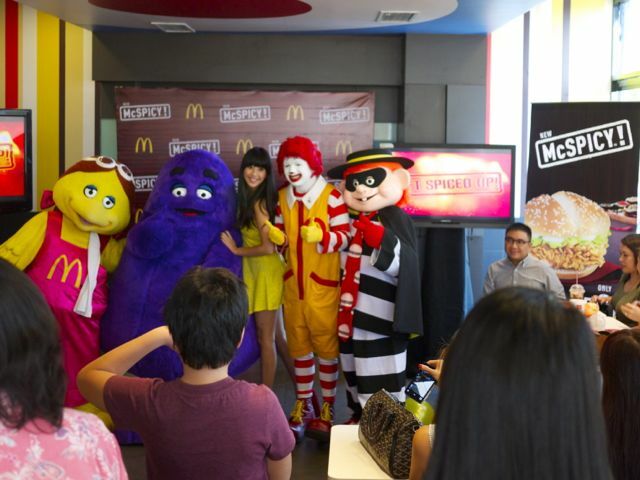 And I love McDonald's for inviting me to the fun launch of McSpicy. As usual, I brought along Iñigo. I bring him everywhere since I breastfeed him and because we have no yayas. 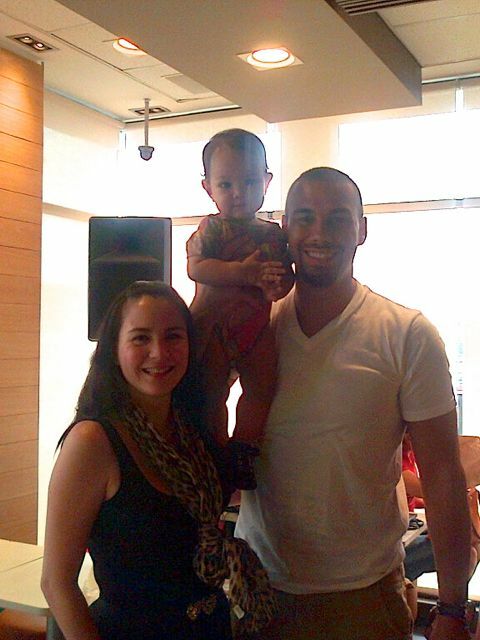 Had I known that the event was a family affair, I'd have brought Vince and Vito, too! It was a short and fun event (my kind of event!). He wasn't scared of them! Hooray! He even sent them flying kisses! 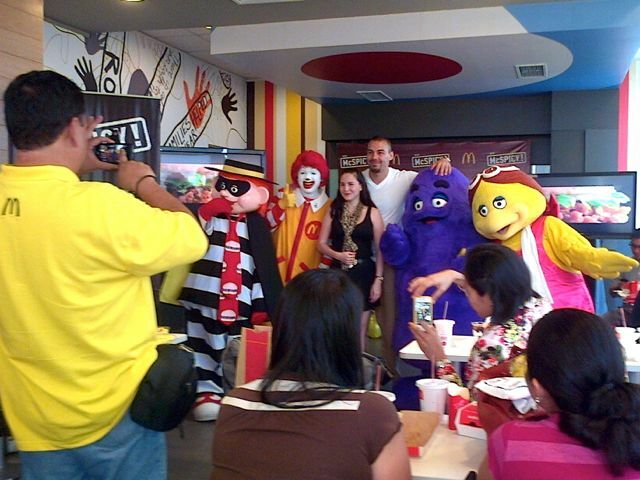 Celebs at the launch! That's Maxene Magalona. Iñigo liked her. He followed her all the way to her table, which was right behind us. Maxene rewarded Iñigo with bats of her lashes. 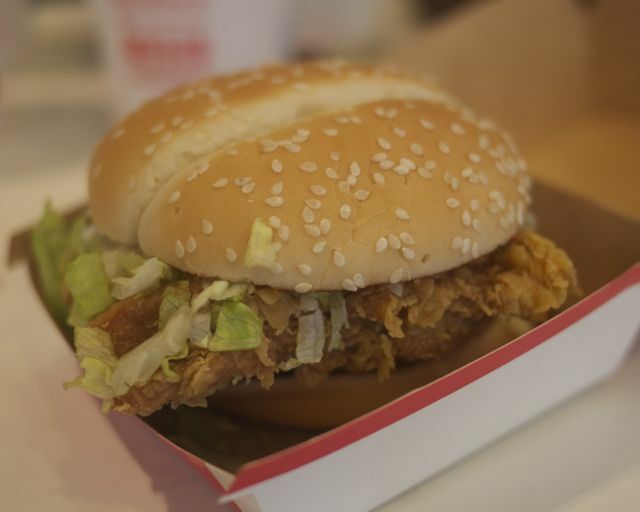 McSpicy is a big sandwich made of juicy 100% spicy chicken meat, fresh lettuce and yummy dressing all inside a toasted sesame seed bun. It is really spicy! Doug Kramer said it's okay spicy but I needed a big glass of cold milk to soothe your mouth (McDo, please make milkshakes a regular part of your menu again!). It's just P80! If you get it with fries and a drink, it's P135. Sulit siya grabe. 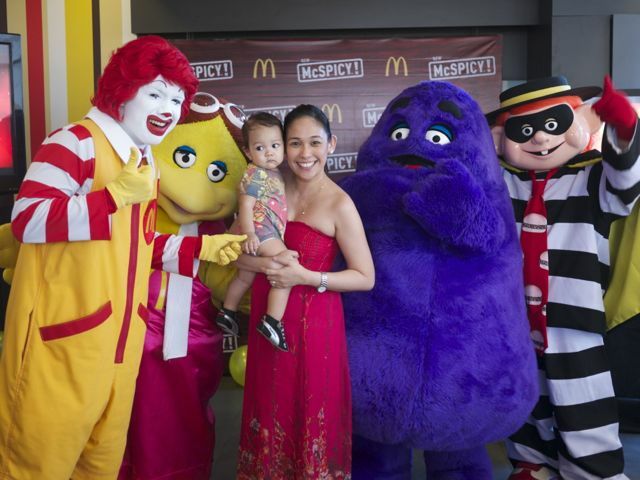 The good news is McSpicy is launching TODAY at all McDo restaurants nationwide! It's available also for drive-thru and McDelivery (86-2-36 or mcdelivery.com.ph). The best part? It's going to be a regular part of the menu! If you're getting a McSpicy today, make sure to tell me on Twitter (@FrancesASales). 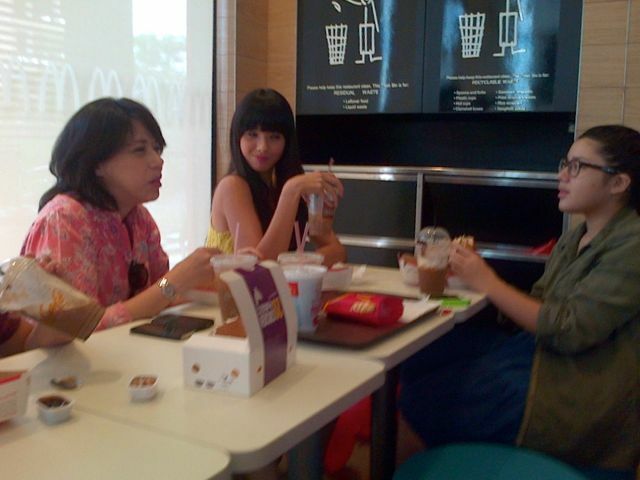 Tag @McDo_PH, too, and use the hashtag #mcspicyishere! Let's eat a McSpicy together, kahit online lang haha. Actually, si Cheska ang crush niya. 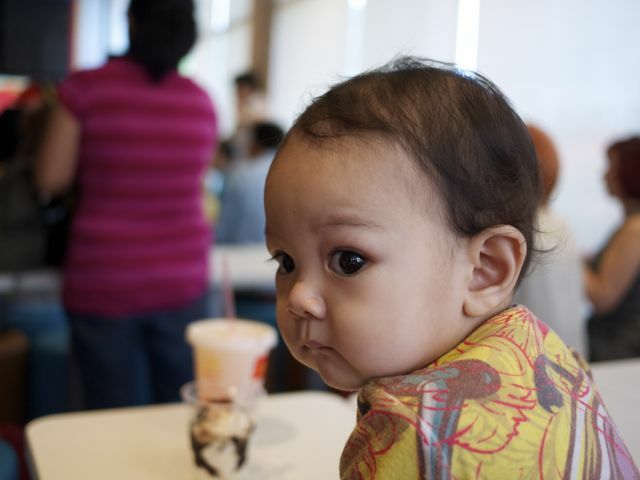 He just kept looking at Maxene. But when Cheska sat at our table, he flirted with her! Naughty little boy!